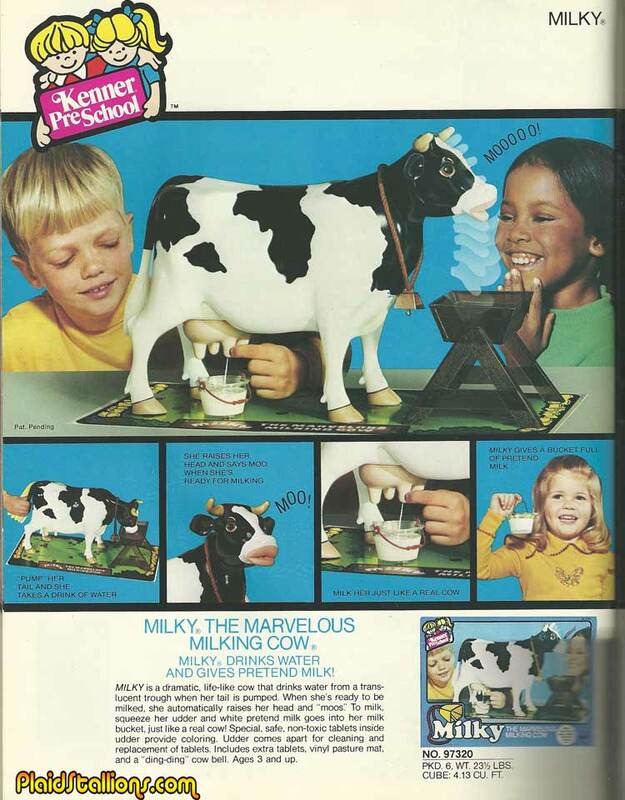 So, how of you lucky children that had a Milky finally gave into curiousity and drank the milk? 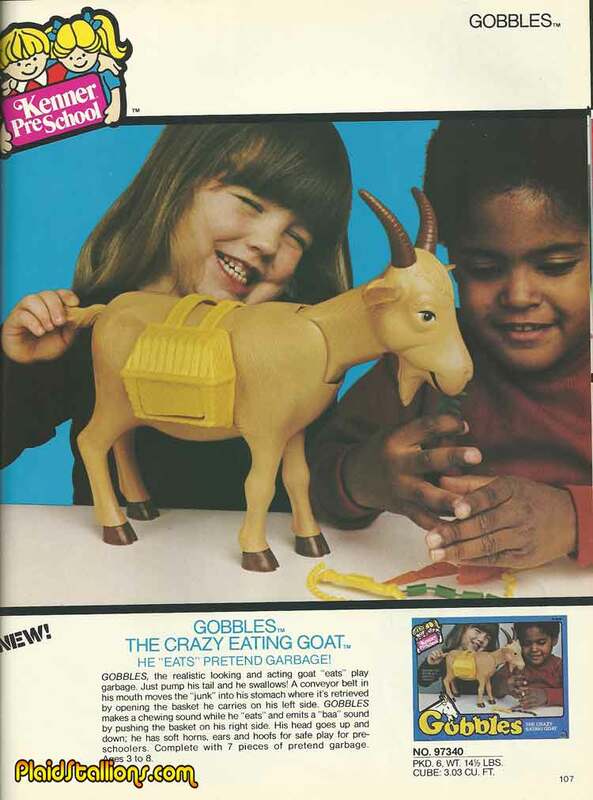 It's ok I promise I won't laugh..
Kenner's Gobbles single handedly kept the myth that Goats eat tin cans alive. Actually, that's mayth right? I've done absolutely no research on the subject past cartoons. 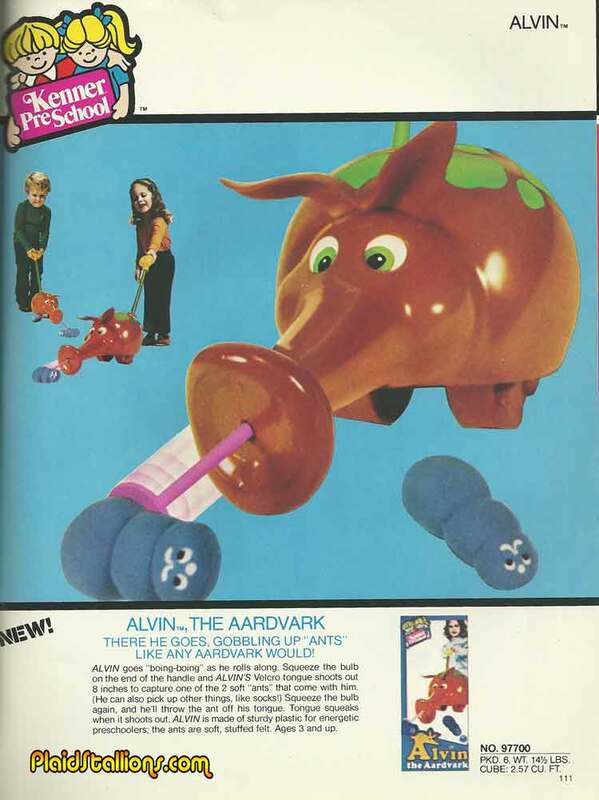 Finally we have Alvin the Aardvark, sucking up gigantic nightmare ants with his velcro tongue. "Velcro Tongue" is another great band name.